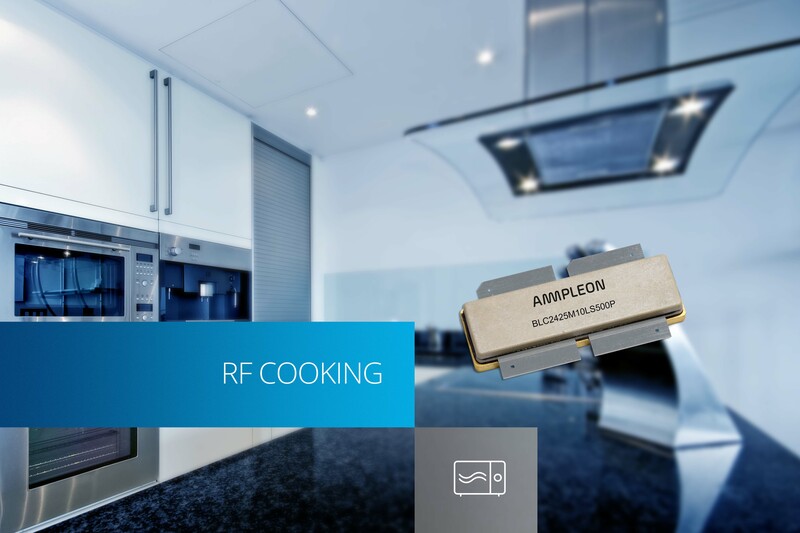 Nijmegen, The Netherlands – Ampleon today announced the 500-Watt BLC2425M10LS500P LDMOS RF power transistor designed for pulsed and CW applications operating in the 2400 MHz to 2500 MHz frequency range. Suitable for use in a wide range of industrial, consumer and professional cooking RF energy applications, the BLC2425M10LS500P has an excellent high-power to footprint ratio as it delivers 500-Watt CW from a single SOT1250 air cavity plastic package. With its 67% efficiency, it has best in class performance, within this frequency range and power level. Such high-efficiency characteristics will keep the required cooling capacity to a minimum while also ensuring low energy consumption and operating costs of the end-equipment. The transistor also exhibits excellent ruggedness by being able to operate with a VSWR 20:1 load mismatch through all phases, further simplifying the system design and protection circuitry. The integration of the BLC2425M10LS500P into the application is simplified by the integrated input and output pre-match.